A few lucky teenagers will soon get a chance to help perform some science that's truly out of this world. On Monday (Oct. 10), YouTube, NASA and several other partners announced the creation of YouTube Space Lab, a global effort challenging students between the ages of 14 and 18 to design an experiment that can be conducted in space. Two winning entries will be selected and performed by astronauts aboard the International Space Station, 240 miles (386 kilometers) above Earth. These experiments will also be streamed live on the video-sharing site YouTube, contest organizers said. "The space station really is the greatest science classroom we have," said former astronaut Leland Melvin, associate administrator for education at NASA headquarters in Washington, D.C., in a statement. "This contest will capitalize on students' excitement for space exploration while engaging them in real-life scientific research and experimentation." The computer company Lenovo, space tourism company Space Adventures and the European and Japanese space agencies are also partners in the event. The top 60 experiments will be announced on Jan. 3, 2012, at which time final judging will begin. The judges will include many big names in science and space exploration, including renowned astrophysicist Stephen Hawking and NASA's human exploration and operations chief, Bill Gerstenmaier. After weighing input from the YouTube community, judges will narrow the 60 candidate experiments down to six finalists. These finalists will meet in Washington, D.C., in March 2012, and get a chance to experience zero-gravity flights on an aircraft and receive other prizes. Two global winners — one from the 14- to 16-year-old age group and one from the 17-18 age group — will then be picked from the six finalists. 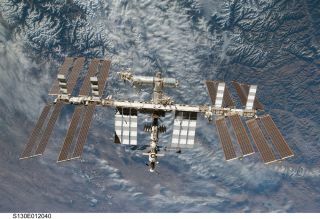 The winning experiments will fly to the space station next summer aboard a robotic Japanese cargo ship called HTV-3, officials said. And that's not all. The two overall winners will also get to choose a space experience as a prize, according to a contest description. The two winners will get to choose one of two big prizes: a trip to Japan to watch their experiment blast off, or (after they turn 18) a chance to undergo spaceflight training in Star City outside Moscow, the training center for Russian cosmonauts, officials said. YouTube Space Lab is organized by YouTube and Lenovo, in cooperation with the space tourism company Space Adventures and NASA, the European Space Agency and the Japan Aerospace Exploration Agency. For more information on the contest and how to enter, visit: http://www.youtube.com/SpaceLab.